In Summer 2018, the Ryerson Centre for Digital Humanities launched the website for the Yellow Nineties Personography, a biographical database of persons who contributed to a number of little magazines produced in Britain at the fin de siècle, as documented by the Yellow Nineties Online. The website is a culmination (but not the final output) of many years’ research and development. One of the most theoretically challenging aspects of this work has been developing the Personography’s domain model—a formal representation of its organizational structure which describes the Personography’s knowledge domain by assigning the data classes, attributes, and rules. The taxonomy of Victorian occupations that constitutes a specific sub-structure of this ontology illustrates how digitally documenting the Victorians can enhance our recognition of the possibilities and limitations inherent in both historical and contemporary models for structuring cultural knowledge. This entry was posted in Blog, Uncategorized and tagged computing, data, Digital Humanities, feminist, fin-de-siècle, network, occupations, the yellow nineties, visualization on November 6, 2018 by Sarah Bull. This entry was posted in Blog, Floating Academy and tagged Constance Crompton, Digital Humanities, George Eliot, library on December 13, 2016 by vr_wpadmin. This semester I decided to do something a little different. I have the privilege of teaching my Victorian literature class in one of the fancy new classrooms at the Taylor Institute for Teaching and Learning at the University of Calgary. My 40-person class has six big touch screens, and as a result we’ve been able to do a lot of hands-on work in small groups leading into discussions with the whole class. In the past, on Day One I’ve introduced the dramatic monologue in terms of Robert Langbaum’s classic argument that we both judge and sympathize with the speaker. (The Duke is so evil! But so compelling!). Then, on Day Two, I introduce Cornelia Pearsall’s idea that the speakers of the dramatic monologue may not be bumbling fools, but might be well aware of the aims of their own rhetoric. (What if St Simeon is in on the joke that you can’t ask to be made a saint, especially by whining about the 30 years you’ve already spent atop that pillar). This semester, in introduced a new component. We used Prism, a tool developed by graduate students in the Praxis Program at UVa that allows classes to crowdsource interpretations of a text. Students highlight portions of a text as falling into one to three categories (or facets) designated by the instructor. Then, Prism collates all of the highlights to see how most people categorized each portion of the text, which should lead to further discussion. 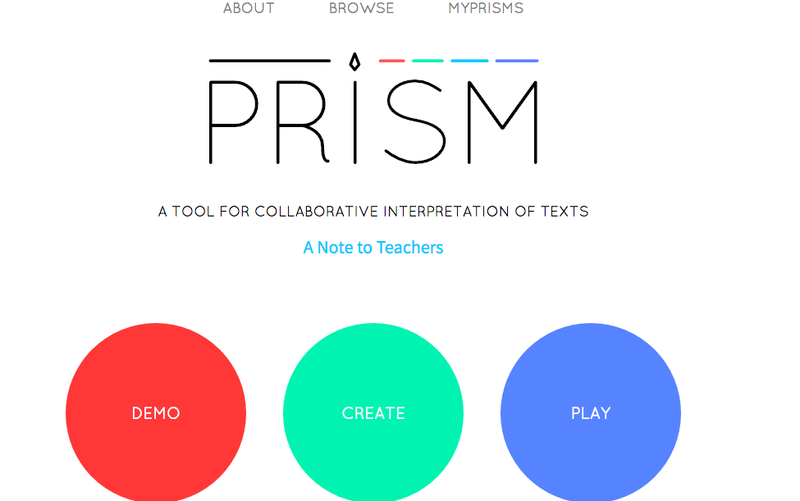 Prism allows collaborative highlighting of texts. Prism works really well when you want students to highlight for two or three specific concepts, which is exactly what I wanted for my lesson plan on the dramatic monologue. On day two, we used Prism again to highlight Tennyson, this time for sympathy, judgment, and comedy (shorthand for self-aware, motivated rhetoric), following Pearsall’s argument. Each group worked on a different dramatic monologue and was responsible for presenting their findings to the class. The groups also read portions of their assigned monologue aloud two different ways: as if the speaker is giving away more than he realizes (Langbaum) and as if he is in on the joke (Pearsall). Reading the dramatic monologues aloud helped a lot. Many more students have decided to write on the dramatic monologue for their final paper than has been the case in the past, so I think this was a successful lesson. We’ll see tomorrow, when we tackle “Locksley Hall.” Am I the only one who has vivid memories of being an undergraduate and not understanding at all what was going on in that poem? This entry was posted in Blog, Floating Academy and tagged Digital Humanities, Karen Bourrier, pedagogy, poetry, Victorian poetry on October 27, 2016 by vr_wpadmin. 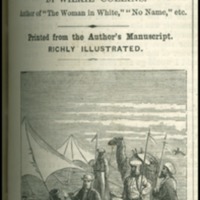 The Moonstone, Harper’s Weekly, 1868-05-23. Image digitized by Melanie Radford, courtesy of Special Collections, University of Calgary Library. 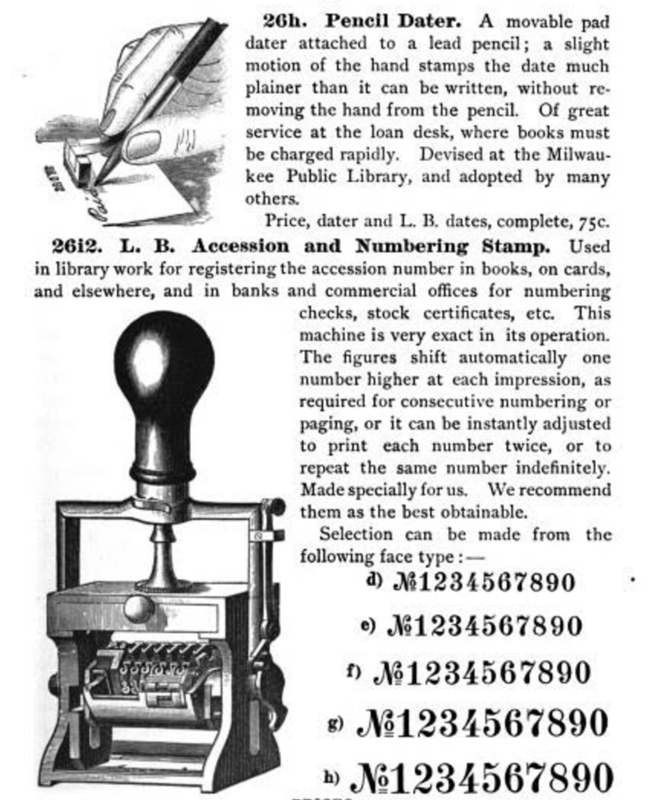 This entry was posted in Blog, Floating Academy and tagged archives, Digital Humanities, floating academy, Karen Bourrier, victorian literature on October 22, 2015 by vr_wpadmin. This entry was posted in Blog, Floating Academy and tagged Digital Humanities, floating academy, Karen Bourrier on September 15, 2015 by vr_wpadmin. For the past few semesters, inspired by Joshua Eyeler’s post on “Teaching with Twitter; or Adventures in Student Engagement,” I’ve had a social media participation component in my classroom. I’ve now used Twitter at all levels, from the freshman writing seminar to the graduate classroom. It’s worked well in all of these settings, but I think I’ve had the most success at the 400-level, with third and fourth year university students studying Victorian literature. The reason for this success, I think, is two-fold. One, third and fourth year students are sophisticated and engaged enough with literature that they get the possibilities of the medium immediately: they use Twitter to respond in real-time to plot developments (there’s a madwoman in the attic! ), to comment on versions of Victorian texts that have entered the cultural mainstream (Please sir, can I have some more? ), and of course, to raise questions for class discussion. The second reason for this success, I think, is that third and fourth year university students are not yet too worried about formulating identities as professional literary critics on the web, which leaves room for a freewheeling discussion. What I enjoy most about using Twitter in the classroom is finding out more about my students and what they think about the works we’re reading early on in the semester. I learn about their sense of humour and the many ways they encounter Victorian literature in popular culture. I also find out who the really smart but shy students are early on, since they will Tweet, but not necessarily put their hands up in a class of 40. (Incidentally, our class Twitter stream is also a pretty good gauge of who is keeping up with the reading!) In my class of 40, which is something in between a seminar and a lecture, social media fosters some of the bonds that would come from a smaller classroom. I also assign a Storify, where a student archives the Tweets from one day’s class, in lieu of a seminar presentation. This serves as a record and a study guide for the final exam. The odd student won’t complete the Twitter assignment. That’s okay, it’s only worth 5% and won’t kill their grade. When I started this assignment, I thought more students would want to remain anonymous, and though I have the option written into the assignment, I have yet to have a single student take me up on it. If you are interested in seeing what we’ve done with Twitter, you can take a look at our Storify archives for Early Victorian Literature here, and Late Victorian Literature here. I’ll post my assignment below. In the meantime, I’d love to know, have you used social media in the classroom? Was it successful? The social networking site Twitter has gained tremendous currency over the past few years as a place where academics and professionals can learn and share ideas. To spark our class conversations and keep them going throughout the week, everyone in the class will tweet a minimum of six times a week (three tweets per class). We will use the hashtag #ENG449 to keep track of the tweets. The only guidelines are that your tweets must be respectful and relevant to the class. Your tweets could include 1) a question or an observation about the reading 2) a quotation from the reading 3) a response to a tweet 4) a link to a relevant resource (scholarly article, film adaptation etc.). Each student will also be responsible for creating a Storify narrative of the tweets from one day’s class, due before the next class, which I will post to our course website, and which everyone can draw on to generate ideas for papers and to study for the final exam. Because Twitter is public, I encourage you to put your best, most professional foot forward in your tweets. You can follow your classmates and me @kbourrier, but I also encourage you to follow people in your future career path. It will be easiest for everyone in the class to link Twitter identities with classroom identities if you are comfortable using your name and a picture of yourself as part of your Twitter handle, but this is not required. If you choose to be anonymous, let me know what your Twitter handle is so that I can give you credit for participation. Students who complete the Storify assignment, the minimum number of tweets (78) and whose tweets show engagement with the texts can expect to receive an A- (4/5), with an A+ (5/5) being reserved for exceptional engagement. This entry was posted in Blog, Floating Academy and tagged classroom, Digital Humanities, Karen Bourrier, new media on March 20, 2015 by vr_wpadmin.